In conjunction with the Musical Arts Society of New Orleans who is presenting the 2014 International Piano Competition (NOIPC) July 20-27 at Loyola University’s Roussel Hall, Hall Piano Company will once again provide live streaming of the competition each evening at http://www.HallPiano.com. This 25th competition has drawn 152 pianists representing 26 countries from around the world who competed in the Preliminary/Recorded Round of the 2014 New Orleans International Piano Competition (NOIPC). Competition Rounds and Recitals will be held at Loyola University in Roussel Hall. For 24 years, the NOIPC had been presented annually. Starting in 2012, NOIPC became a biennial event. The 3 Finalists will return to New Orleans on March 28th, 2015 for Concerto Showcase VIII in which each will perform with the Louisiana Philharmonic Orchestra conducted by Carlos Prieto. In addition, the First Prize winner will also perform with the Baton Rouge Symphony Orchestra and Lafayette’s Acadiana Symphony Orchestra. This gold medalist will also present a solo recital in London’s Wigmore Hall. Truly an international competition, the 2014 pianists who competed in the Preliminary/Recorded Round represented the following countries:Australia, Austria, Belarus, Brazil, Canada, China, Finland, France, Georgia, Germany, Israel, Italy, Japan, South Korea, Lithuania, Macedonia, Malaysia, New Zealand, Peru, Poland, Russia, Spain, Sweden, Taiwan, United Kingdom, and 42 pianists from the United States. This summer’s competition also includes the 33nd annual New Orleans Keyboard Festival (NOKF) and the 15th annual New Orleans Piano Institute (NOPI). Since 1981, MASNO has offered a weeklong festival featuring a series of master classes, lectures, and recitals. The educational component of the keyboard festival was enhanced in 1989 with the introduction of the New Orleans International Piano Competition (NOIPC) and further enhanced in 1999 with the establishment of the New Orleans Piano Institute. NOPI attracts local piano students (middle school through college) and those from other states and abroad to take private piano lessons with members of a distinguished faculty, and to attend and participate in daily master classes and lectures. All New Orleans Piano Institute events will be held in the Music and Communications building at Loyola University. Master Classes and Faculty Presentation discussions will be held in Room 240. The NOPI Concerto Competition and NOPI Showcase Recital will be in Roussel Hall. The traditional NOPI Concerto Competition, sponsored by the Steinway Society of New Orleans and Hall Piano Company will be held the morning of Friday, July 25. The winner of this competition will have the opportunity to perform with the New Orleans Civic Symphony (date to be determined) and will receive an honorarium of $500. 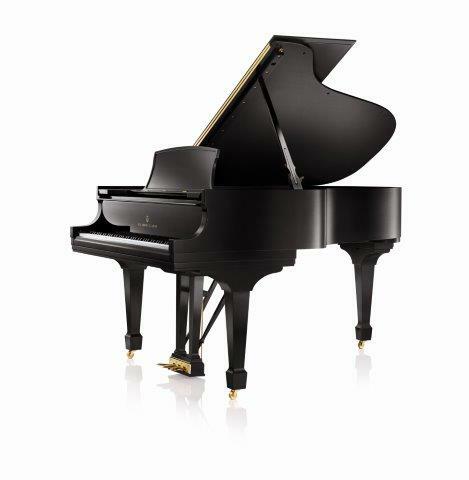 Sponsors of the Musical Arts Society of New Orleans and their events include Steinway and Sons, Hall Piano Company, the Arts Council of New Orleans and Loyola University. All events during the week are open to the public. Tickets to the NOIPC competition rounds and the opening recital by Viktor Valkov (July 20) are available online (masno.org) or by calling (504) 899-4826. NOPI master classes and lectures are open to the public at no charge thanks to the generous support of the Gauthier Family Foundation. Hall Piano Company is Louisiana’s premier Steinway & Sons dealer. For additional information, contact Emily McWilliams at emily(at)hallpiano(dot)com or call 504.733.TUNE.